Get an early start on improving your skiing and ski racing with our earliest camp ever! 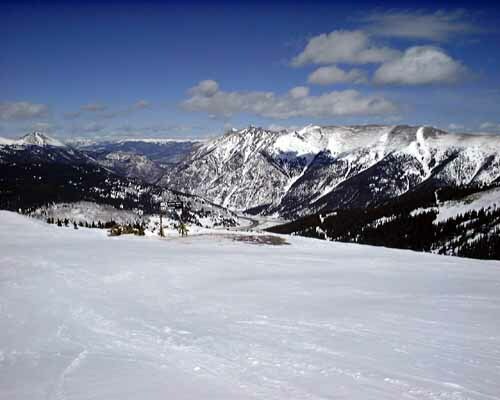 Located at Copper Mountain, Colorado with a base elevation of 9700 feet and a summit of over 12,000, Copper can make snow as early as late October. It has been a consistent provider of early winter race training for race teams and clubs, including the US Ski Team. Copper also has plenty of other activities after a day of race training. Mountain bike riding, hiking and mini golf are available in the easily accessible village. There is a great selection of restaurants and cafes, and lodging is located at the base of the lifts. Afternoon session. Slalom. For those who are ready to work on quickening their feet! Morning training session. Level 1 GS, We start with basics and drills to get sharpen your skills. Afternoon training session. Level 2 GS, Using the morning basics we get into gates and improve your arc to arc skiing. Morning training session. GS training in gates. Reinforcing your Saturday sessions. Afternoon Tai Chi Sessions. Learn how ancient eastern movements can improve your ski racing! Each session is 2 1/2 hours of on hill training time. Each session is video taped and analyzed using Dartfish movement software after each session. Each on hill session is $100. Lifts tickets are $24 per person per day, and are not included in the session price. Lodging information and costs are available on request. You can book individual sessions right now. Click on the button below, and when ordering, indicate the number of sessions you are signing up for. In the notes section, please indicate which days/sessions you are registering for. Please contact Brent Amsbury at pcputah@gmail.com for more information or reservations. Check out our clinics from last season!